A family-friendly adventure of fun and discovery in Argentina, with cycling, waterfalls, glaciers, traditional ranches and more. Arriving to metropolitan capital Buenos Aires, your first evening will have a private car and driver waiting to take you and the family to your restaurant of choice for a taste of Argentina. Discover the bustling city center and rich history of Buenos Aires on a private guided cycling tour, then depart the city to set your sights on iconic Iguazu Falls, the largest system of waterfalls in the world. Trek the lush rainforest surrounding the remarkable falls, and zip along the canopy by zip line, keeping your eyes peeled for exotic wildlife sightings. After, a private guide will take you on a day-long exploration of the Argentine side of Iguazu Falls, offering up countless remarkable photo opportunities. 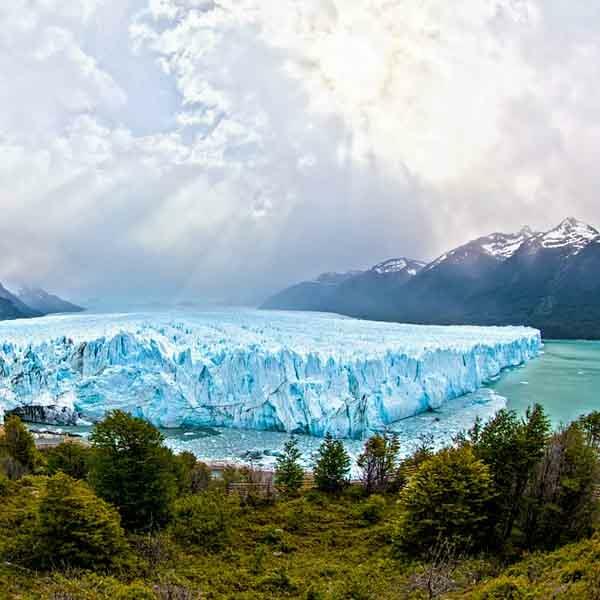 Continue to El Calafate, gateway to the rugged and stunning region of Patagonia, where the family will visit an authentic estancia (ranch) in the outback, exploring the property, as well as boating out to through ice floes to the western shores of the Upsala Glacier, only to be surpassed by your next glacier experience at Perito Moreno, where you’ll be able to do a mini trek directly on one of the world’s most famous slabs of ice. It’s the small things that add up to a great family experience. We’ve got you covered. Please note that the cost of regional and international air has not yet been included in your quotation. Air experts are standing by to help. Enjoy a personalized vacation that best suits your needs, developed by one of our experienced destination experts. Relax during your trip with our 24/7 support and expert local guidance.